To begin your search for a camper trailer, look at what’s on the market and see what matches your needs—and what you envision as the ideal camper trailer for you. It’s also a good idea to take some time to make a list of what you want and need from a camper trailer. Next, research those options that you’ve determined will best serve your needs, and examine the unique aspects that set each trailer apart from the others. 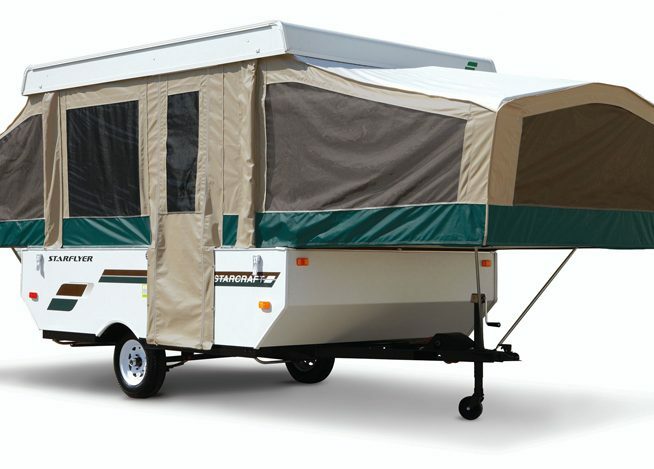 Ultimately, the type of camper trailer you choose will depend upon your budget, camping habits and experience, as well as what best suits your camping needs. Other considerations include how often you plan to go camping, the number of people who typically will be sleeping in the trailer, the approximate amount of storage space you will need, types of environments you may be visiting and the time of year you will be camping. For instance, if your camping trips will primarily be during the summer months, a folding trailer may be preferable over a heavily insulated, high-priced all-season trailer. If you have a growing family, or have decided you will be camping often, you may need a larger trailer than you initially thought. However, if you’re a couple with no children and prefer short, spontaneous trips, you may find a folding trailer to be the better—and more cost-effective— choice. 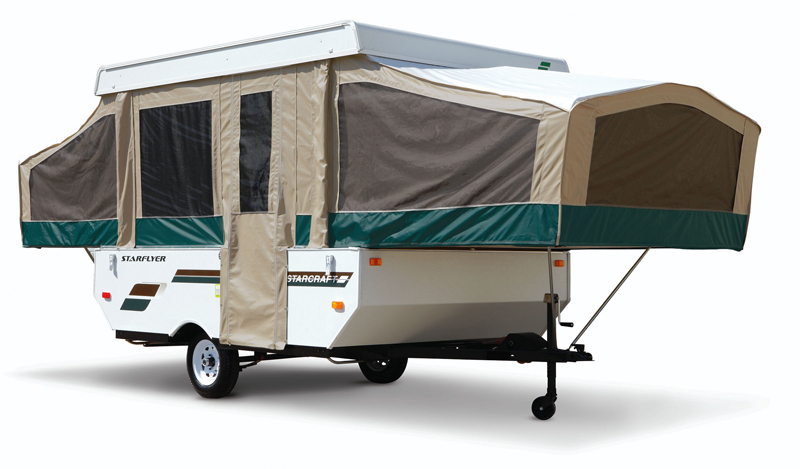 And, if you have a large family or circle of friends that you may be camping with frequently, you may want to consider a fifth wheel that ensures you have adequate privacy and storage space. That’s why your list of considerations should also include examination of floor plans. How many people will your trailer need to sleep? Do you prefer a built-in kitchen or kitchenette? Will you want a sofa bed or separate bedrooms? Equally important is consulting your vehicle handbook to determine your vehicle’s towing capacity and ball weight, so you know much weight your vehicle can tow safely. It’s also important to plan how you will store your camper trailer when it’s not in use. In addition, take some time to visit online communities and camping websites to learn what veteran campers like and dislike about their camper trailers. You may also want to verify the seller’s status with regard to feedback, as well as obtain the VIN number, which will enable you to access the Vehicle History Report. Finally, it’s essential that you examine the trailer first-hand and be ready to ask questions, as well as to voice any concerns you may have about both its general and mechanical condition, the age of the trailer and the condition of the appliances. Whatever type of camper you choose, you’ll find plenty to qualified listings right here at Want Ad Digest. Summer is just around the corner, so there’s no better time than now to start planning and shopping for your very own campsite accommodations.